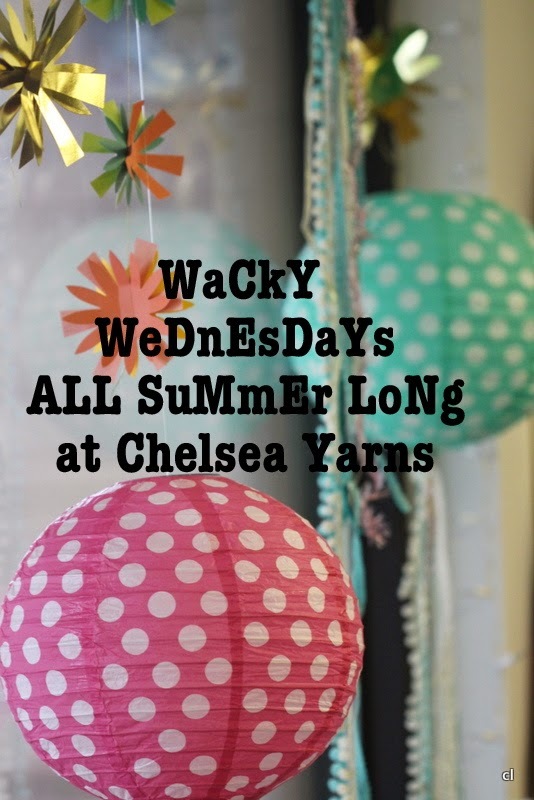 Experience Wacky Wednesdays at Chelsea Yarns all Summer long! Open knitting from 12-3pm along with SPECIAL SALE items each week! Every Wednesday morning we will announce the Wacky Wednesday SALE on our Facebook, Instagram as well as Ravelry page! Or, you can just come in every Wednesday and experience the wackiness. It's wild, it's wacky, it's Chelsea.